Mail-in ballots hit mailboxes this week. They must be postmarked (don’t forget the postage) and returned by February 11th. Important note: the price of stamps increased to 49 cents this week so ballots will need increased postage unless using a forever stamp. The harsh reality today in Washington is that the state doesn’t fully fund education. School administrators say that’s why individual school district levies are critical to completely fund day-to-day district operations. Essentially, what the state can’t provide, school district taxing districts can – and have for quite a while. Currently the Snoqualmie Valley School District is having two different financial conversations – levy replacement and bond planing. The levies are here – and up for replacement on February 11th. The bond discussion is ongoing, with a bond ballot date yet to be determined. Difference Between a School Bond and a Levy? The difference between a bond and levy is that the latter (levies) help fully fund SVSD’s general fund that pays for the everyday operating of the district. Levies require 50.01% majority for their replacement every four years. Bonds generally last 20 years and only pay for constructing new facilities and upgrading/maintaining current buildings and facilities. Bonds also require a super-majority of 60.01% for passage. In the Snoqualmie Valley, taxes collected through the Educational Programs and Operations Levy (EP&O) contribute almost one-quarter of the costs required to operate the school district. District officials say the levies are critical to continue current operating levels/standards of Snoqualmie Valley schools. In 2006, SVSD also ran and passed its first Technology Levy to help fund technology in the classroom. The state is only required to fund “basic education,” which doesn’t include technology in the classroom. That technology levy was replaced by voters in 2010. In a nutshell, every four years the levies come up for replacement – and 2014 is the Snoqualmie Valley School District’s levy renewal year. District officials also say it’s important to remind residents and voters, the ballot levies are not new taxes. What’s the Cost of the Replacement Levies? Currently, the 2014 EP&O Levy rate stands at $2.48 per $1000 of assessed property value. With voter approval, the new 2015 rate would be $2.70/$1000 of assessed value, equal to about a 9% increase. In 2016 it would be $2.79; in 2017 it would be $2.88; and then $2.95 for 2018. That equals about a 3% increase in each of those three years. The Technology Levy rate currently sits at $.44 per $1000 of assessed property value. With voter approval, in 2015 it would be $.47/$1000 of assessed value – or about a 6% increase. In 2016 it would decrease to $.46; then to $.44 in 2017; and $.43 in 2018. Historically Snoqualmie Valley school levies have been passed with ease, generally with at least a 60% yes vote. When asked if they’re are worried about the 2014 replacement levies passing, Snoqualmie Valley Citizens for Schools (non-profit volunteer group working to pass the levies) Chairman, Kirk Harris, said they weren’t really worried. They just don’t want to leave anything to chance. Signed ballots for the February 11th mail-in only election must be postmarked by on or before the election date to count. 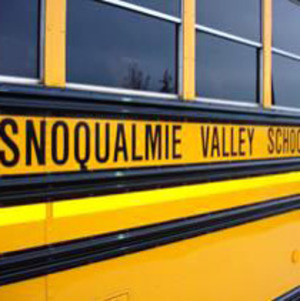 For more information on the 2014 replacement levies visit the Snoqualmie Valley School District’s Levy Informational website page. 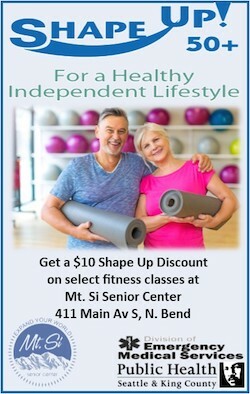 SVSD 410- Mt Si homepage also has a great information page, with 2 charts. For 2015. the levy rate actually goes down compared to 2014, 2016= same as 2014, an then 2017 & 2018 each go up @ 10%. I hope people realize that they only have to pay the “net change”, not the full levy rate listed on the ballot. Yikes! there was no explanation with the ballots! Vote YES for schools!